So does becoming a YouTube sensation just take pulling out your phone and recording a few minutes of video? Well, perhaps, but why not make your videos as high quality as possible? And thankfully, this is getting easier and easier to do with almost any decent phone, and even on a shoestring budget. So, so important, and often overlooked. Now, your phone does work hard to make your video look great, especially if your phone (and its camera) are high quality, and a lot of processing is done for you automatically to optimise the light in your video. But, also developing an eye for what works and what doesn’t is important too. Natural light is great, but sometimes your video will need a helping hand, especially when filming indoors. Now lights for video can get a little bit expensive, so it may not really make sense if you’re just putting together a fun video for friends! But if you’re looking to take the next step up in video quality, considering purchasing flood lamps, a spotlight, stands, and reflectors. In fact, you can buy a lot of this second hand for not that much (even less than £100 if you get lucky), and this can really help turn your videos into mini masterpieces. Why stick just with ambient sound, because sometimes what your video really needs is music! Just like you can get stock photography, you can also get stock audio, and it isn’t really that expensive, although prices do vary significantly (like all things really). You can also find copyright free music by Googling for that, but many people may have had the same idea so that won’t sound very unique, but might be fine for your goals. Also, check out creative commons options, and also public domain music too, since copyrights do expire after a certain amount of time. Filming from above creates emotional distance. This is known as a high angle shot. Or the other way – a low angle shot. This is often used to make the person in the video look powerful. Michael Bay (of Transformers fame) loves the hero shot, with the camera looking up at the person. And often in his case there’s a helicopter flying overhead and an American flag fluttering (just for good measure). Eye level filming is neutral and can be used to create a feeling of trust. And when filming from directly above (easier said than done on a small budget), this is called the bird’s eye view and can be very effective if not overdone. And slanted, as the name implies, is where the camera is tilted. Horror movies love this angle, but it can be easily overused, and at that point takes attention away from what’s actually on the screen! 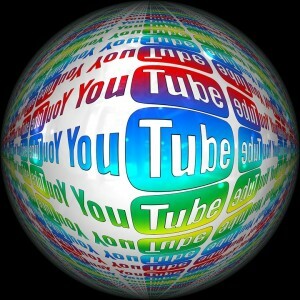 So these simple tips, and a bit of elbow grease, may turn you from YouTube novice into YouTube sensation, in the blink of an eye! « Is 2016 the Year for You to Leave Your Job and Go Self-Employed?